Skinner House Books, 9781558968257, 192pp. Susan Katz Miller is an author, speaker, educator, interfaith coach, workshop leader, and interfaith activist, and the founder of the Network of Interfaith Family Groups. A former correspondent for Newsweek, her writing and photography have been published in the New York Times, Washington Post, Christian Science Monitor, International Wildlife, and elsewhere. She spent years living in and reporting from West Africa and northeastern Brazil. Miller is both the child of interfaith parents, and the parent of two adult interfaith children. Her new book, The interfaith Family Journal, is a supportive and interactive resource for any and all interfaith families. Her previous book, Being Both: Embracing Two Religions in One Interfaith Family (Beacon Press), includes both memoir and original surveys and interviews with interfaith parents, children, teachers and clergy. Miller has been featured as an interfaith families expert on The Today Show, CBS, PBS, several NPR programs, and many other media outlets. Miller, a graduate of Brown University, lives outside Washington DC. She blogs at onbeingboth.com. Find her on twitter @susankatzmiller, or visit her website susankatzmiller.com. 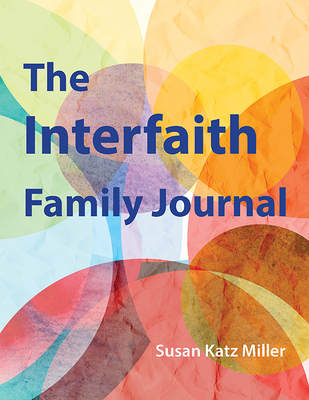 “The Interfaith Family Journal is a wonderfully inventive and engaging resource for families blessed with more than a single faith tradition. More than this, its value reaches far beyond the ‘interfaith’ issue. It is a tool for clarifying a family’s aims for religious, spiritual and cultural meaning in their lives—and helping a family to tailor its life accordingly. It is pitch perfect for all 21st century families.” —Sheila C. Gordon, PhD, President and Founder, Interfaith Community, Inc.